Diabetes is a group of common metabolic disorders in the body. It is caused by the increase in the blood glucose level. This happens because the body either does not produce insulin or the cells do not make use of the insulin properly. In either case, the person gets affected by insulin. In the modern world, it is not common for a person at a young age to be affected by diabetes. Though it was called as the disorder of the rich, it is now frequently found in all range of people. Those suffering from diabetes experience frequent urination, thirst and hunger. The food we eat gets broken down into glucose. The insulin secreted from the pancreas moves the glucose to the cells which is the form of energy used by the body. In some cases the body will not be able to move the glucose to the cells as the result of either no insulin production or less production of insulin. This paves the way for the accumulation of too much glucose in the body which is secreted out in the form of urine. This has to be stopped as it will deprive the body off its energy. So insulin is administered into the body by injection. Although there are several medical methods prescribed to control diabetes, some people resort to home based remedies due to various obvious reasons. Fruits that have high fiber content and low sugar are good for diabetic patients. Figs are known to treat diabetes. Either the fruit or the leaves are beneficial parts in treating diabetes. The fig leaves can either be chewed or eaten in an empty stomach. Similarly the fig leaves can be boiled in water and drunk. When practiced regularly, the insulin level can be controlled. The fenugreek seeds have low sugar levels and thus they treat diabetic patients by lowering the need for insulin. Some people do not like the taste of fenugreek seeds so capsules are suggested to them. Fenugreek leaves should be added as a regular ingredient in our diets. A spoon of fenugreek seeds must be dipped in a glass of water overnight. In the morning, we must drink the seeds along with the water. For about half an hour after drinking it we must not take any other medication. Fenugreek seeds also help to eradicate constipation. Grape seed is rich in flavonoids, linoleic acids, vitamins and proanthocyanidins. They also treat diabetic patients by lowering the blood sugar level. The fruit can be either eaten as such or can be consumed in the form of capsules. This is a common spice found in all kitchens. It is a taste enhancer and has a sweet smelling aroma associated with it. Similarly like insulin, it lowers the glucose level in the blood. Either a spoon of the cinnamon powder or the cinnamon in its natural form can be eaten in order to reduce the glucose level in the blood. Olive Oil helps to minimize the triglycerides and cholesterol levels in the body. Similarly it reduces the glucose level in the world. We must add it as an ingredient in our everyday life. 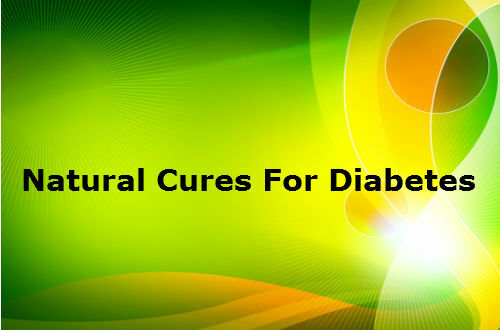 It is an ancient remedy that has been in use till now to treat diabetic patients. It can be eaten raw, fried and cooked. The bitter gourd can be cut and boiled with water. The water strained may then be drunk. We must be careful in eating excess bitter gourd as it will lead to low sugar levels in the blood. Foods rich in vitamin C must be consumed in large numbers like broccoli, dark leafy vegetables, carrot, papayas, peas and tomato etc. They help to lower the glucose level in the blood. These foods must be had by all diabetic patients at least once in a day. In addition to having antifungal and antibacterial properties, neem also has antidiabetic properties. It lowers the fifty percent of the total insulin requirements. Care should be taken because overdose of neem leads to complete glucose level in the body. Aloe vera is grown in many households. It provides many benefits to the human body. It has a bitter taste. It is mixed with buttermilk to taste better. The aloe vera has antidiabetic properties that make it one of the very common medicines for diabetic treatments. Moreover the wounds of the diabetic patients will not heal soon but as aloe vera has anti-inflammatory properties, it helps in healing the wounds faster. It is a common spice herb used in all Indian kitchens. It reduces the level of cholesterol in the body. Most of the people are not aware of the antidiabetic properties of garlic. It minimizes the glucose level in the body. This is brought about by the allicin in the garlic. It is commonly known as the common man’s fruit. It is rich in vitamin C. The fruit when taken helps in the secretion of insulin within half an hour of its consumption. Its seeds are also taken in a powdered form and it also reduced the sugar levels in the blood. The fruit and the leaves of the mango tree helps to reduce the sugar levels in the blood. The mango leaves can be eaten an hour before food consumption. Only then the desired effects will be felt. It helps to minimize the glucose secretion in the blood and that is the reason behind the recommendation of the leaves for diabetic treatment. This vegetable is abundant in soluble fibers. It helps to lower the rate of osmosis of the glucose in the intestines. Dip a slit of the vegetable in water overnight and drink the water in the morning. It helps to reduce the glucose level when consumed for a month. This plant has been considered as a holy plant in many eastern countries. It is good to eat the leaves of the plant. Similarly the juice prepared from the leaves of the plant can also be used as a medicine. It has antidiabetic properties apart from its antibacterial, antifungal, antiulcer, anti-tumour, antistress, antioxidants and anti-inflammatory properties. The papaya fruit has vitamin C and flavonoids that help to control the blood sugar level in the body. The papaya seeds can also be eaten as a part of the food or can be eaten after it is being powdered. The oysters are not directly linked with treating diabetic patients but they have rich amount of zinc that heals the wounds. So the diabetic patients are better advised to make oysters part of their diet. Vinegar helps in the control of blood sugar reflux. Most people do not like to include vinegar as part of their diet but it has to be included. Two spoons of vinegar before meals is recommended. The fruit and the leaves can be essential in maintaining the blood sugar level in the blood. Eating upto 400 grams of the fruit a day can help to reduce the glucose level in the blood drastically. It is a seasonal fruit but it is available at all time of the year. Excess consumption of the fruit leads to sore throat. Beans have high amount of protein in them. They tend to slow the digestive system of the body. Thus they help to minimize the glucose level in the blood. These are a real blessing to the diabetic patients. They have little amount of calories and instead have small amount of isoflavones that keep the body well nourished. It helps to slow down the accumulation of glucose in the blood of the human beings.